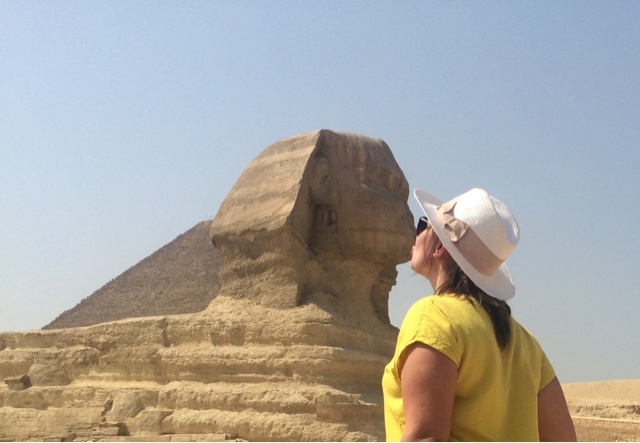 Home #etlEgypt Africa TAdvice Travel How to visit the Pyramids and have an awesome time! 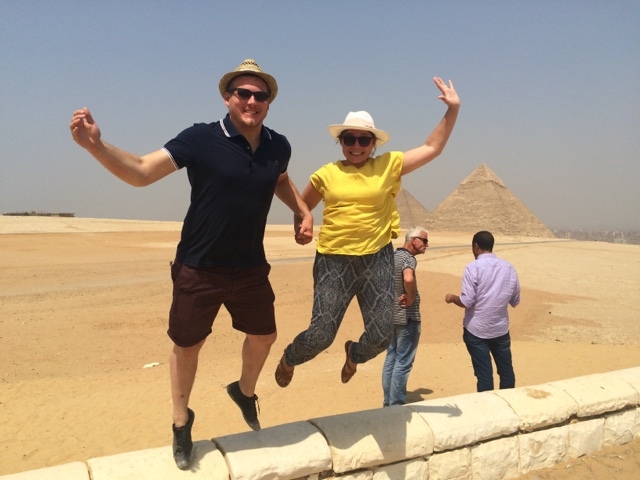 How to visit the Pyramids and have an awesome time! 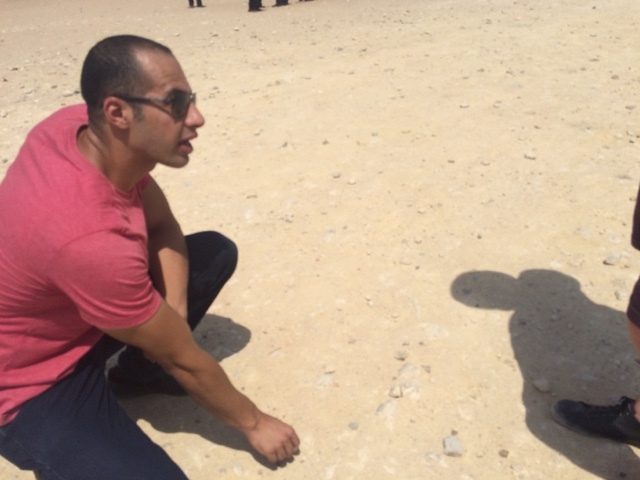 For me, Egypt has always been a place that I have wanted to explore. 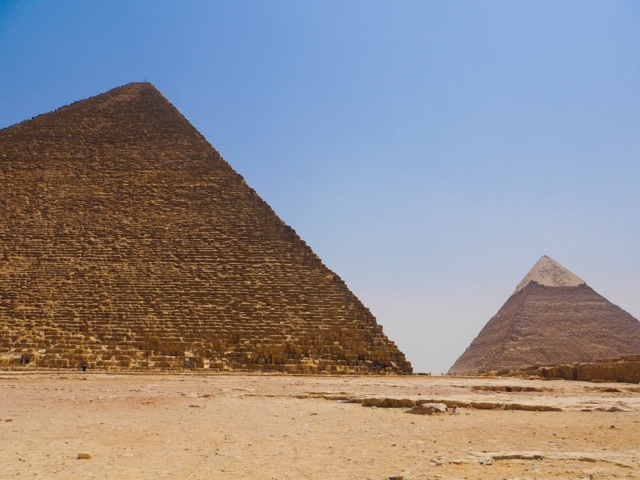 Since being a little girl and hearing about the ancient facts and fictions of Egypt, I have always wanted to visit the famous Pyramids of Giza to see what life was once like. So, I began my search through my usual channels of travel blogs and Trip Advisor, to find nothing but negative views. People saying about their bad experiences, commenting on "the place being a dump", "we were hassled by camel sellers" and "they (Pyramids) look onto blocks of run down flats" etc. I'd like to take a minute here, to just remind everyone that this is someone's home you are talking about. Yes, the Pyramids don't look exactly like they did 3000 years ago, but does anything? Things age and times move on. Especially as there are over 20 million people crammed into Cairo, making it a very hustle and bustle kind of city - similar to Bangkok. So if you're not a hustle and bustle kind of person, then you're probably not going to enjoy it - which would be a real shame. 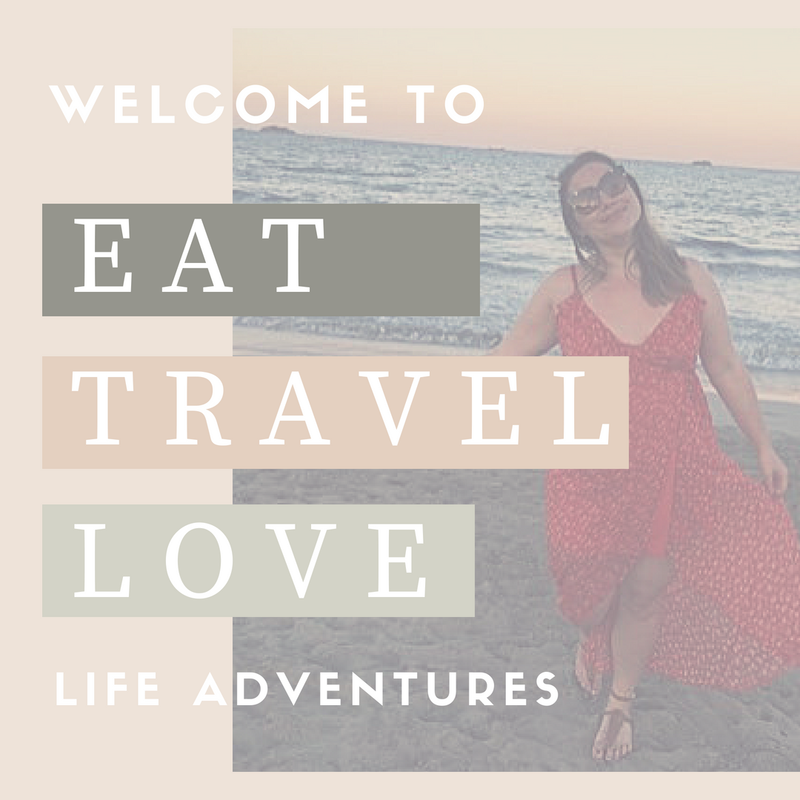 The aim of this blog post, after my personal experience, is to show you that not all Egyptian people are greedy and rude, and that they are kind, humble and very family orientated. They will go out of their way to help you, in the hope that you will tip them. Something that is big in their culture as they rely on tips to feed their families; and this is no different from the way of American life. 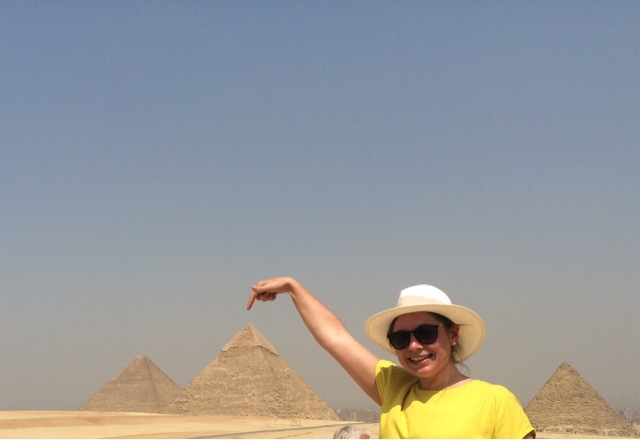 So here it goes, my tips on how to have an amazing time at the Pyramids. Before you even begin to think about this trip, manage your expectations and know that this will be a long, but fulfilling day. We travelled from Hurghada to Cairo by road and the full day - travel, rest stops, lunch, attractions - took us 18 hours to complete. You can fly to Cairo, but we worked out this would only save two hours off our day and it would be double the price. 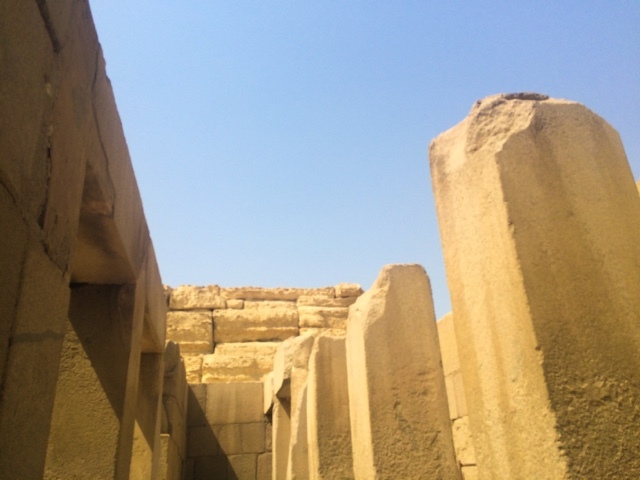 From budget backpackers to hotel resorts, the key to doing this trip well and having an amazing time, is to get a guide or friend who is familiar with the local area, language and Egyptian tactics. This will make your life so much easier and doesn't have to cost the world. 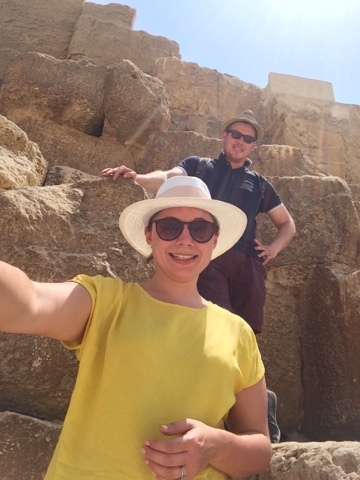 We used Get Your Guide, which works in a similar way to Air BnB; where local tour companies (such as the one we used, Egypt Excursions Online) sign up and tourists search for their adventure via one hub. For €74 euros plus a €20 transfer from our hotel (as it was out of the main part of Hurghada) we got a private car and driver^ (with the brilliant Muhammad) who drove us all the way to Cairo, stopping off at services stations for bathroom breaks and food, if we wanted it. ^Note: Not all the tours are private ones. We were just lucky that no one else had booked a tour on that day (Saturday), if you have a group you still have a private driver, but you will be picked up in a mini van. 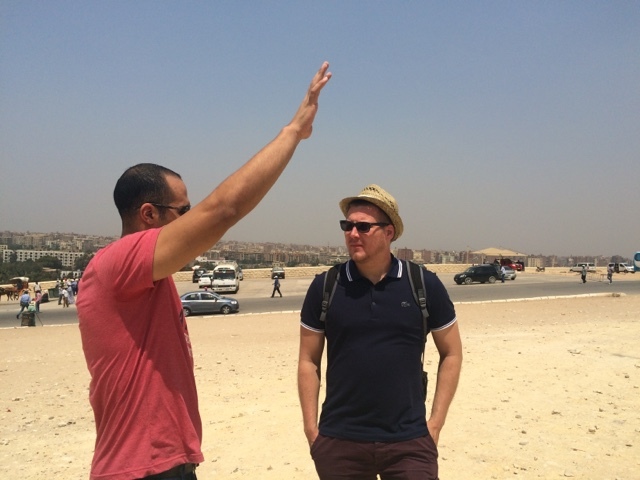 When arriving in Cairo we met our guide, Ahmed Eletter, who lived in Cairo and spoke fantastic English, but he could also speak French, Spanish and German. He had such a passion for Egyptology and the culture there, plus he gave us helpful tips on the 'camel sellers' and what to do at the Pyramids - this I'll explain further down. 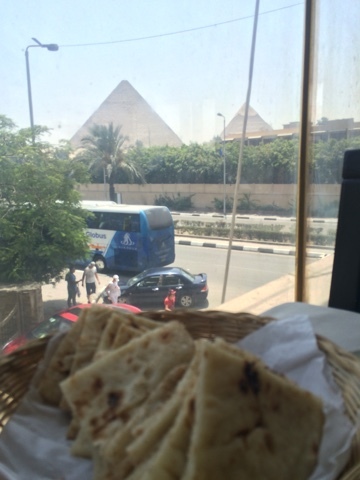 Within the cost of our trip (€74) was also all admission into the Cairo Musuem, Pyramids (excluding going inside the big Pyramid, this is an extra 200 L.E - Egyptian Pounds) and lunch next to the pyramids (excluding drinks, which weren't much, around 10-20 L.E). A pretty good bargain in my eyes and half the cost of what our tour operator wanted to charge, for practically the same thing. 3. What to expect at the Pyramids? There's so much happening when you get to the pyramids and so I think it's going to be best to break this down into a few bite size chucks. - What to wear to the Pyramids? We arrived at the Pyramids at 1:00pm and it was scorching - to be precise it was 43 degrees of scorching. Naturally in this heat all you want to do is wear very little clothing, but as a female traveller, I would personally say go with light (cotton or linen) clothing that covers most of your body - not only out of respect for the culture in Egypt, but more importantly to protect your skin from the sun. I opted for a loose tee and harem style trousers with leather sandals. Think about the shoes you do wear, as it is incredibly hot and the last thing you want is burnt tootsies or melting shoes. You're also going to need a high factor sun cream, a hat and sunglasses.Sometimes people use scarves to cover their necks and face from the sun and sometimes sand, if it is a little windy. One thing you will need is (lots of) water. I think we drank around 6 litres of water throughout the day, as you will sweat most of your body water out. We were also told to take our passports, although I think this is only really relevant when flying. Ours weren't checked, but it's good to have them, just in case. You'll also want your camera to capture those amazing shots - there are a few dos and don'ts on taking photos, which I will explain later on. 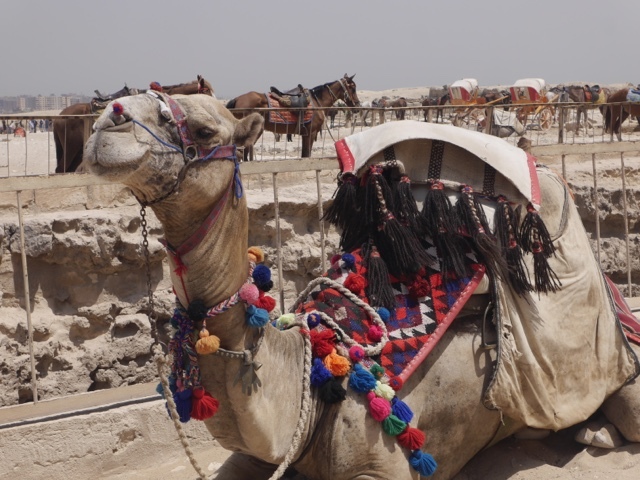 - Camel rides, free gifts and things for a 'special price'. When reading the reviews, this was probably the biggest issue/sore point/annoyance for people going to the Pyramids. Here you will find lots of local men, women and children trying to sell you souvenirs of Egypt. From mini statues to magnets to hats to parchments, you name it and they will try to sell it to you, of course always offering you that "special price" - this basically means they're going to charge you a lot more money than any local would pay and sometimes change the price to try and get more. Note: Always stick to one currency when haggling. As the sellers exchange rates are a little off point and they will try and trick you with this. It's pretty amusing to watch once you see it. If you're interested in a souvenir or hat then haggle away, as this is very much the Egyptian culture. But just be careful when getting money out. Only take out of your purse / wallet what you are willing to pay, and do this before you even approach a seller or stand. If you're not interested just give a firm no, keep your hands to yourself (aka take nothing from them) and walk away. Don't even acknowledge them once you have said no, otherwise they will continue to push. Try not to be intimidated by this, you've got to remember this is their livelihood - to hustle and make as much money as they can for their families. Coming from the polite, British culture, I found it very difficult to give a stern "no", but trust me, if you don't want to be hassled, this is the way to do it. Having Ahmed with us also helped to reinforce our no, and if he needed to would step in with some of the more pushy sellers and tell them to go away. Another thing to remember (and a great tip from Ahmed) is that nothing is free! Sometimes they will try to offer you a "gift" and will then expect money in return. If this happens, again just give a firm "no" and walk away without acknowledging them. When it comes to camel or horse rides, again I would follow the same instructions as above. Be prepared to haggle or walk away with a stern NO. I read on another travel blog that they were told it is 'illegal' to walk around the pyramids, which of course isn't true! It's just a ploy to get you to take a camel or horse ride. However it is very hot, and quite a distance between them so maybe a camel or horse ride could be a good idea at the right price? Alternatively, your car or mini van will take you to the various points for photos and sight seeing. Thank goodness for selfie sticks ey? The guy on my right agrees. 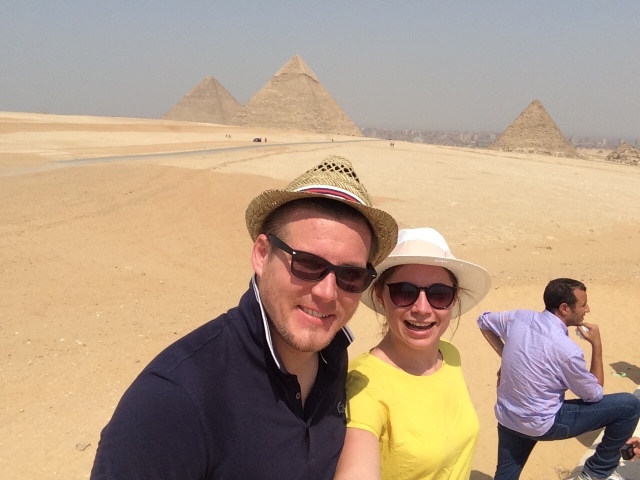 With the Pyramids being one of the wonders of the world everyone wants to capture a magical photo of the tombs and pyramids. I took with me my Panasonic LUMIX dmc-gfx camera and iPhone to capture photos, after reading that some places are strict when it comes to photography. For instance, in the Cairo museum, I had to keep my camera in a locker and was given a keyring to take it of at the end. Ahmed dealt with all of this and so I'm not sure if there is a charge, but I would imagine there is. At the pyramids you're allowed cameras on the outside, but you're not allowed to take them in. These need to be left with a friend or guide on the outside, something which I felt comfortable leaving Akmed with. One tip to bear in mind, and again going back to what we were told, is that nothing is free. If a seller offers to take your photo, you will not get your camera back until you pay them, in the extreme scenario. If they offer to take a picture, give them a simple 'no' and continue with your photo / selfie, whatever picture you're taking. 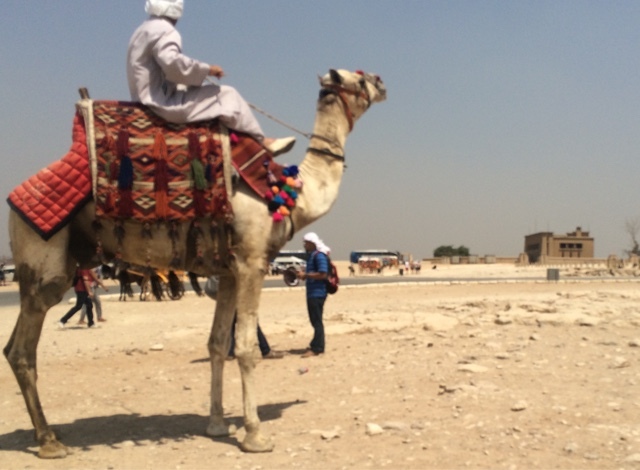 Just one final tip with the photos, be careful if you're taking pictures of camels etc. as some owners may ask you to pay for the 'privilege' - just another handy tip from Ahmed. Well there you have it, my personal experience on how to have an awesome time at the pyramids. If you take on board the tips and advice from this post, not only will it help to prepare you for the hustle and bustle of Cairo, but it will also make you wise to the little Egyptian tricks - which at the end of the day, is just them trying to make money. I've been very fortunate to see a lot of the world, but I have to say that this truly was a beautiful wonder to see. 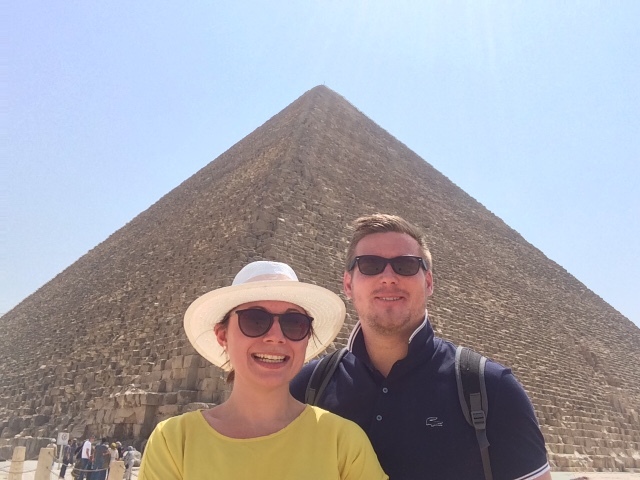 Please don't be put off by the media and people's experiences, do your research on government (safety) and travel sites - and if you'd love to visit the Pyramids as much as I did, then my advice would be to do it.